1. When talking about the scandalous kiss between Norma and Norman in the Season 2 finale, the EP’s revealed that Norman’s Freddie Highmore actually suggested it. Kerry Ehrin loved the scene because she found it “fascinating” that Norma would do something like that to control her son. 2. The twisted relationship between Norma and her brother, Caleb, was an idea from Vera Farmiga. However it was Cuse and Ehrin who decided that they didn’t want to villain-ize the character of Caleb. 3. The EP’s teased that there is “no truth” on “Bates Motel.” Instead, everything is a perception. Their goal is to explore the truths and manipulate it. 4. In Season 2 they decided to “populate the town” as a way to explore Norma’s dream of moving to a new place and starting a new life. And while they did give it to her, Ehrin teased that her wings got too close to the sun. 5. Officer Shelby’s death was supposed to be the Season 1 finale for “Bates Motel.” However, the network extended the first season from six episode to 10, and they chose not to rework the story. 6. Discussing the potential series ending of “Bates Motel,” both Cuse and Ehrin agreed that they don’t foresee a “literal” version of Alfred Hitchcock’s “Psycho.” Believing that the “Psycho” movie ending would be anti-climatic for the TV show, the pair dished that the end should be their own unique version of the story. 7. 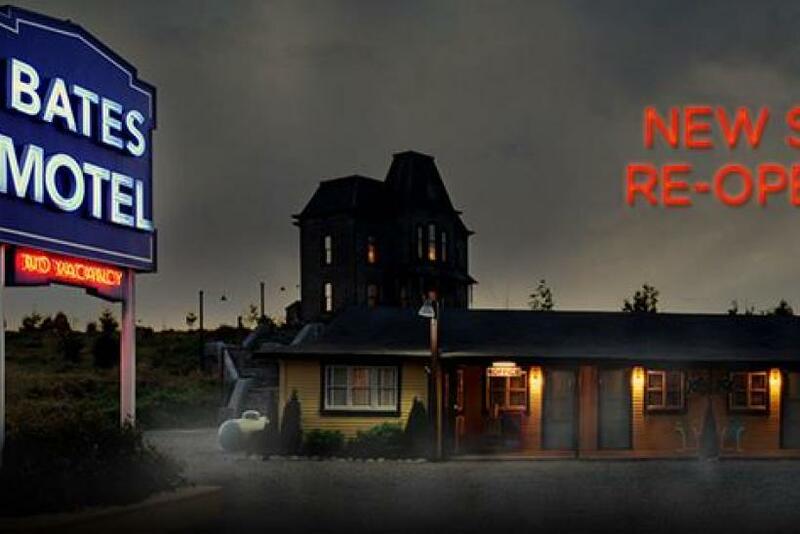 The EP’s revealed that they can see “Bates Motel” continuing for a couple more seasons. 8. Carlton Cuse knew from the start that Vera Farmiga was the perfect person to play Norma Bates. 9. Freddie Highmore will be graduating from the University of Cambridge with a degree in Linguistics. He is fluent in Arabic and Spanish. 10. Freddie Highmore reportedly spent the summer between Season 1 and Season 2 translating documents at a law firm in Madrid. 13. Fans of Carlton Cuse will also want to check out his new shows: FX’s “The Strain,” which premieres on July 13, and A&E’s “The Returned,” which just tapped Mary Elizabeth Winstead. ‘Hey Dude’ Cast Reunion: Where Are They Now?